My mom and I swap packages a couple times a year and it's always fun to get something in the mail, especially when you aren't expecting it. This is the happy mail I came home to Friday! A few of my favorite things! 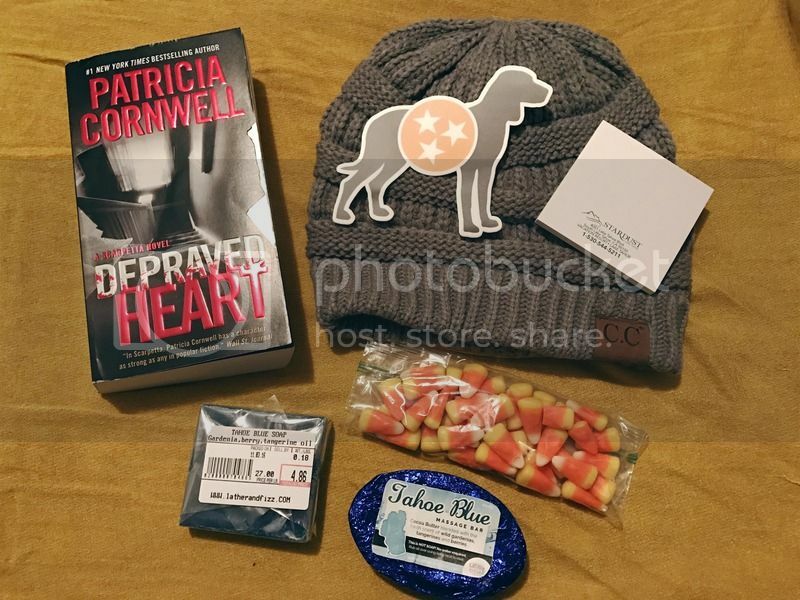 Books, accessories, beauty products, and candy corn! I haven't gotten on the Kay Scarpetta boat yet, but I've read a few excerpts and it seems pretty interesting, so I'm excited to start Depraved Heart by Patricia Cornwell (use my link and get 15% off!). There's this great little boutique in Tennessee that we love visiting, and my mom picked me up an adorable knit beanie there! It'll get a lot of use this winter. How cute is the little Vols decal? I've wanted one ever since the boutique posted them on their Instagram. I'm so excited to put this baby on my car! The candy corn? I'm a nut for those things. Along with the hotel sticky notes (love free stationary! ), my mom and stepdad just got back from a trip to Lake Tahoe, and she picked me up some beauty products! A total surprise, but boy am I looking forward to trying them! 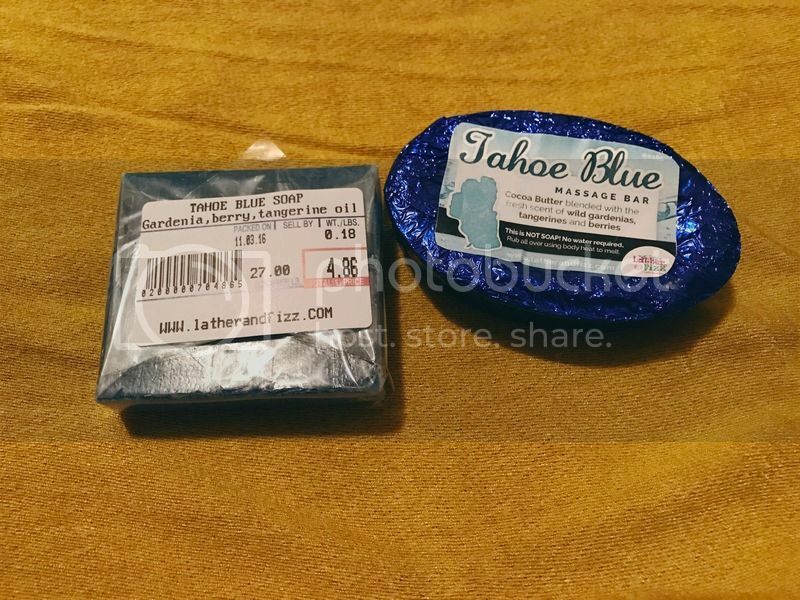 Both products are Lather & Fizz's Tahoe Blue line, after the blue of the lake.